The 2017 Legislature kicked off at the Roundhouse Tuesday, and the first order of business was Gov. Susana Martinez’s state of the state address to the legislature. That speech featured many proposals the Republican governor has advocated for years – reinstating the death penalty, avoiding tax increases, holding back third graders who can’t read and increased penalties for DUIs. But she also advocated bipartisanship, probably a necessary step when Democrats control the Legislature. Opening day is largely one of pomp and circumstance, especially for new lawmakers and their families. 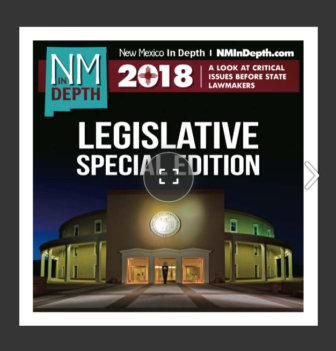 For New Mexico In Depth and KSFR Radio, we tracked down five new lawmakers in the boisterous capitol and asked about their day, the state of the state address and their goals for the 60-day session. Sen. Jeff Steinborn is a Las Cruces Democrat who isn’t exactly new. Listen to Sen. Steinborn. “For me what’s new is I’m now in the state Senate. I’ve been in the House for eight years, so it’s my first day as a state senator, a new group of colleagues over here. Obviously I know many of them. But a new body, just a different pace, rhythm and how they operate, so I’m enjoying it. “The state of the state address, it was not what I’d call aspirant in terms of laying out much of a vision for the state. You know, our state is dealing with some pretty difficult challenges. And quite frankly we have not seen the level of bipartisanship in dealing with them. Moving forward, that would be a great goal that I share to deal with our state’s financial crisis and really build a brighter New Mexico future. Sen. Greg Baca, a Belen Republican, defeated former Senate Majority Leader Michael Sanchez. Listen to Sen. Baca. “It was terrific, I got to meet a lot of great people today. I got to hear the state of the state address. Basically getting shown around, introduced to some of the bills and what some of the priorities are going to be for the Senate. Over in the House, Democratic Rep. Candie Sweetser won an open seat in Deming and will serve as vice chairwoman of the agriculture committee. Listen to Rep. Sweetser. “It has been a little overwhelming, I will be completely honest, but also really exciting. “I heard a lot of support for bipartisanship in the state of the state. I hope it holds through the session. 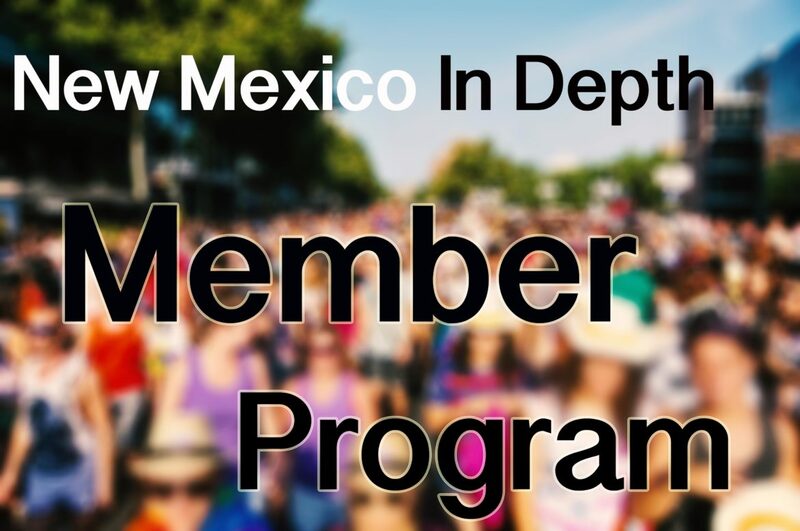 I certainly feel like our Democratic caucus is looking forward to forgetting about partisan politics and getting things done for the state of New Mexico. I think a lot of that gets said on the first day and some of that falls apart as the session progresses, and this year I hope that is not the case. Republican Rep. Rebecca Dow of Truth or Consequences won an open seat. Listen to Rep. Dow. “It was a wonderful time to get together and celebrate with friends and family and meet my colleagues and just welcome everyone together. “The state of the state, you know it’s a challenge coming in as a freshman with such a budget, with such a deficit. Finally, we talked with Rep. Linda Trujillo, a Santa Fe Democrat. Listen to Rep. Trujillo. “It was really kind of surreal, I mean it was exciting. I had my son here, my future daughter-in-law, my husband was here and it was just nice. It was really an introduction to what is going to happen. “I am thrilled as a school board member that our graduation rates are up. Our teachers have worked really hard, our staff, our superintendent. But I was a little disappointed that the governor brought up the lack of notification for students who are not achieving level in third grade. But overall, graduation rates are up. I think we all want to support business. So there were some things that I agreed with and some things I disagreed with. That’s kind of how state of the state is, right? While New Mexico is one of the most beautiful places on the planet, not all of our treasures are as visible as our golden landscape. Below our state’s sunny surface lie abundant natural mineral resources.